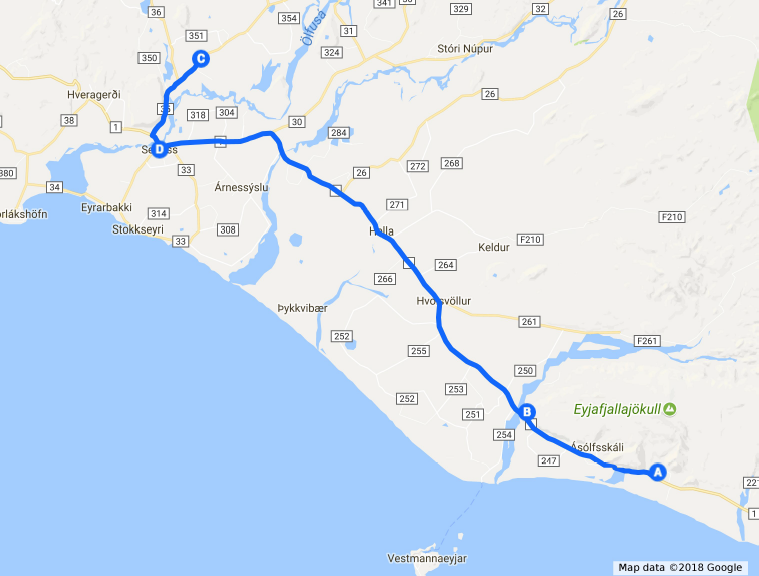 Flights from Edinburgh for a week long trip, compared to a Friday-Sunday trip to Reykjavik were cheaper, so we compromised luxury accommodation in favour for budget accommodation and a little more time to explore Iceland. 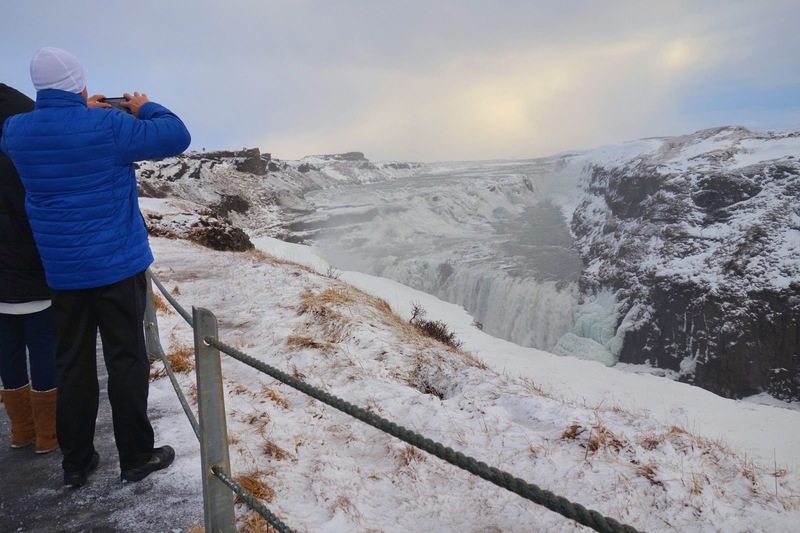 I heard organised tours were expensive and although they would have been more informative, we wanted to do the Golden Circle tour at our own pace, so we decided to hire a car and stay at various locations around the golden circle to experience it to its fullest potential. 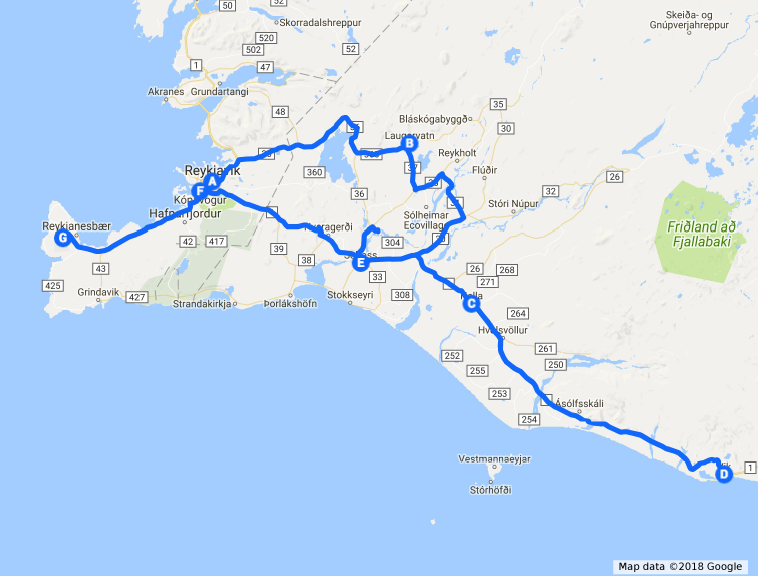 As we travelled to Iceland in January, we were a bit worried about driving in the Icelandic Winter and many roads towards the north of the country were closed, so after a bit of research, we came up with a week's itinerary, which I would like to share with you today. 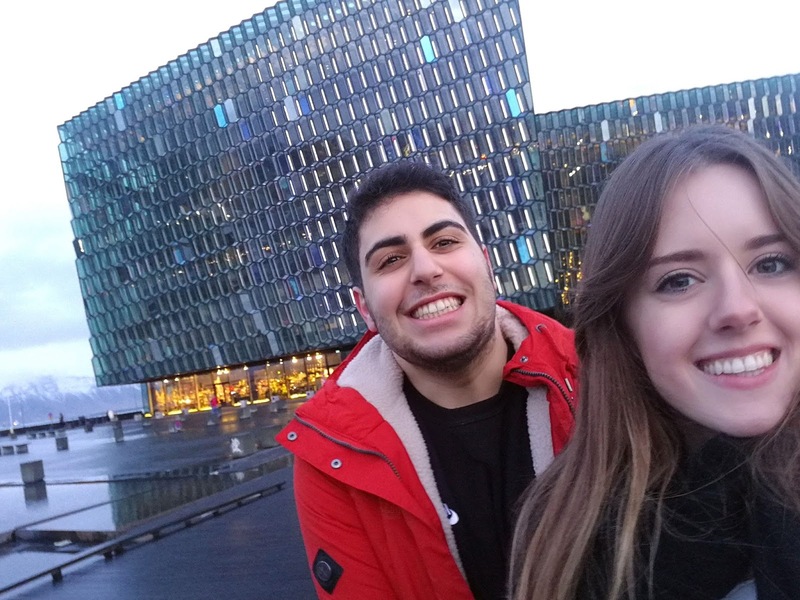 We arrived at Keflavik International airport on the evening of the 7th of January, where we stayed in an AirBnb for the first two nights of our stay so we could explore the capital, Reykjavik. 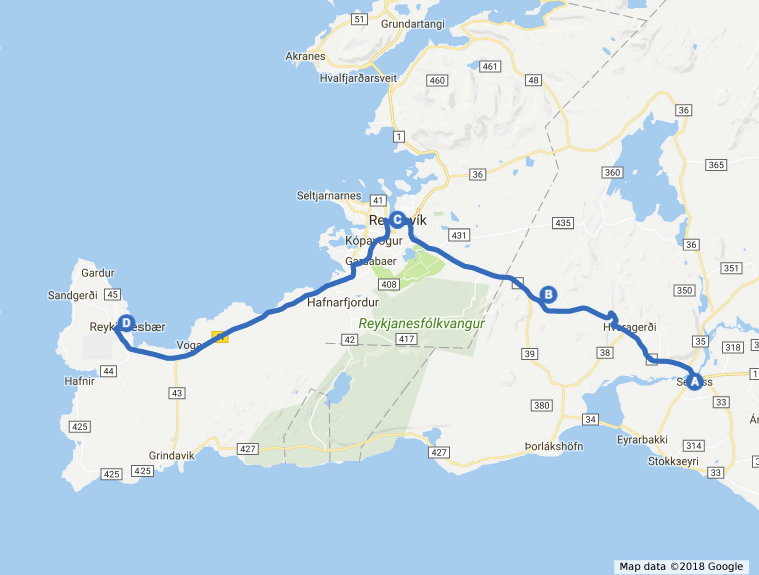 As we had hired a car, we were able to stay a little outside Reykjavik in order to save on paying for a more expensive room in the city centre. On the 8th of January, we went to Bónus, a budget supermarket in Iceland which is similar to Lidl/Aldi and we stocked up on food for the week. Instead of eating out for every meal, we decided to make sandwiches for lunch and buy fruit and granola that would suffice for breakfast. 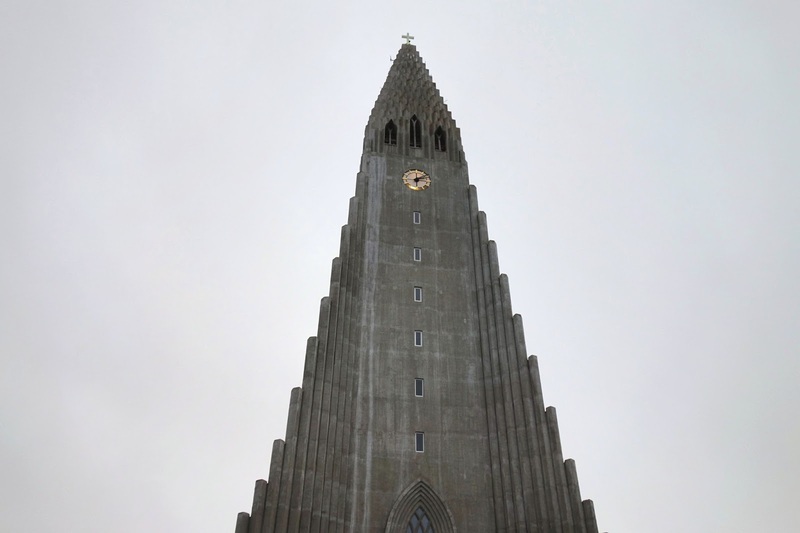 Our first stop was a trip to the cathedral, Hallgrimskirkja. The architecture of the building is very distinctive and iconic to Reykjavik as one of the tallest buildings in Iceland. We paid 1000ISK (approx £7) to climb to the top of the tower (don't worry - an elevator will take you most of the way up!). 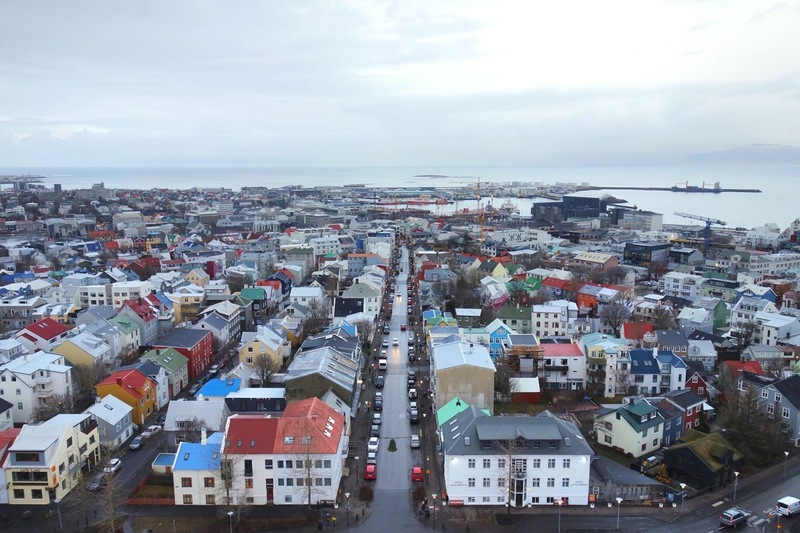 The views from the top were really nice, especially with the colourful roofs (as seen above) all over Reykjavik. Afterwards, we parked the car next to the Culture Centre and walked towards the Harpa Concert Hall. Unfortunately, the pavements were very slippy so we didn't manage to see attractions such as The Sun Voyager, for example, but we managed to have a look in some of the boutique shops around the area. My boyfriend's 22nd birthday was on this day, so we went back to the Airbnb to freshen up with a dip in the host's outdoor hot tub and went for dinner at Forréttabarinn. We tried two of the four course set menus for approx £45 each, which I thought was a reasonable price for a birthday dinner. The food was delicious and I would definitely recommend checking out their menu online if you are interested. 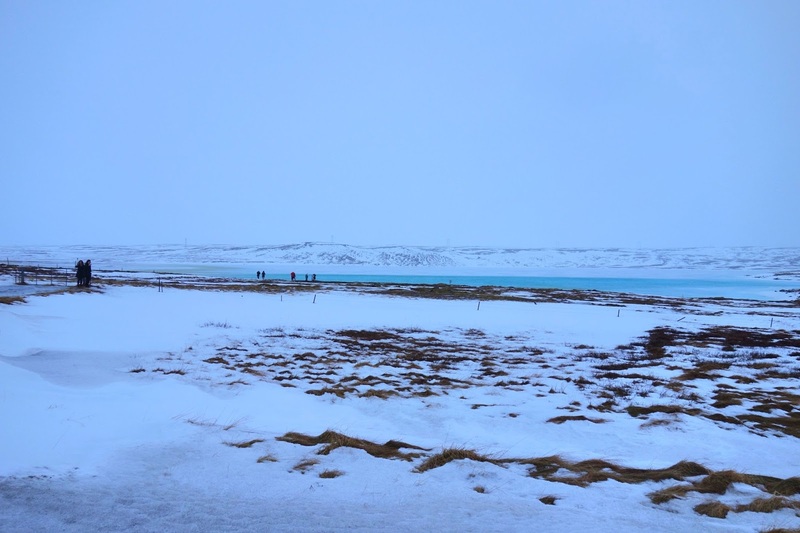 On the 9th of January, we left Reykjavik and began our 1.5 hour drive to Laugarvatn. Unfortunately, on this day a storm was forecast, so we weren't able to park the car and explore on our journey as apparently snow/sand storms could have been pretty lethal along the country roads! 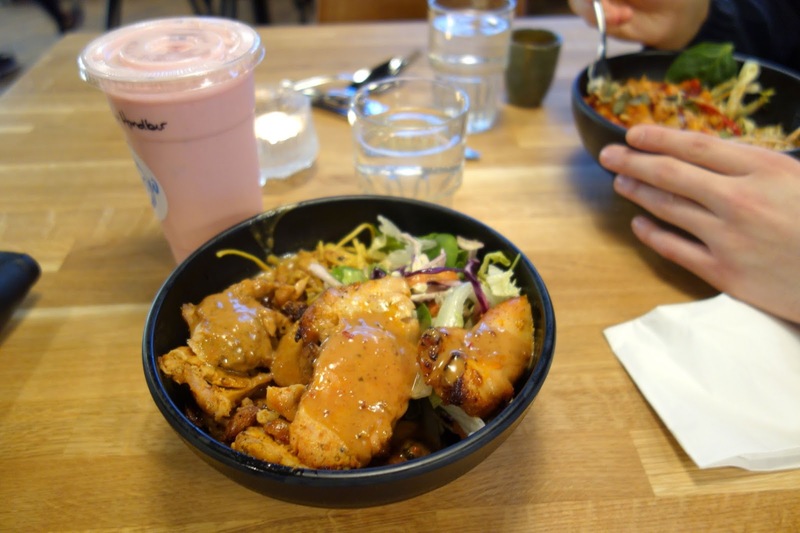 We headed straight for where we were staying that night, Héradsskólinn Boutique Hostel, and spent a few hours in the lounge area playing board games and watching TV, followed by a dinner in the Hostel's kitchen. 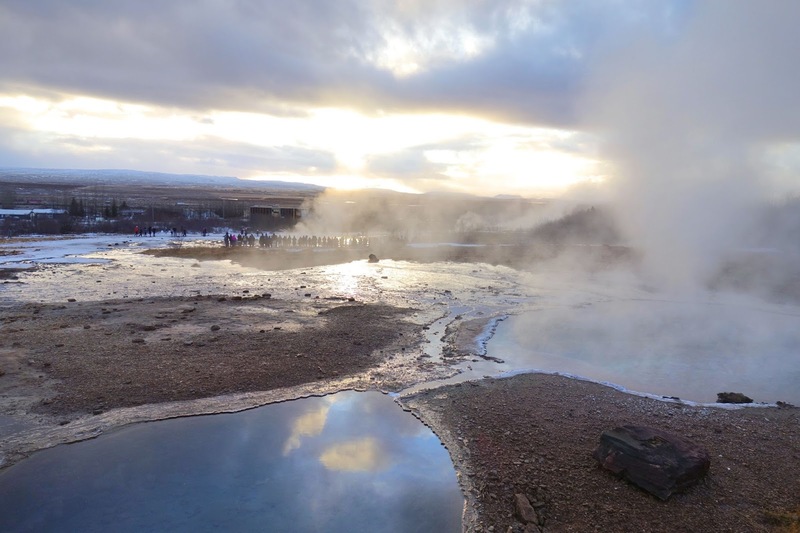 On our third full day in Iceland, we set off early on our longest driving day (a total of 3 hours) to visit the main attractions of the Golden Circle - Geysir, Gulfoss and Fridheimar. Our first stop was the Geysir hot spring area which was home to many mud pits with boiling water inside and exploding Geysirs. Entrance was free to this area and was definitely one of our highlights of the trip overall. 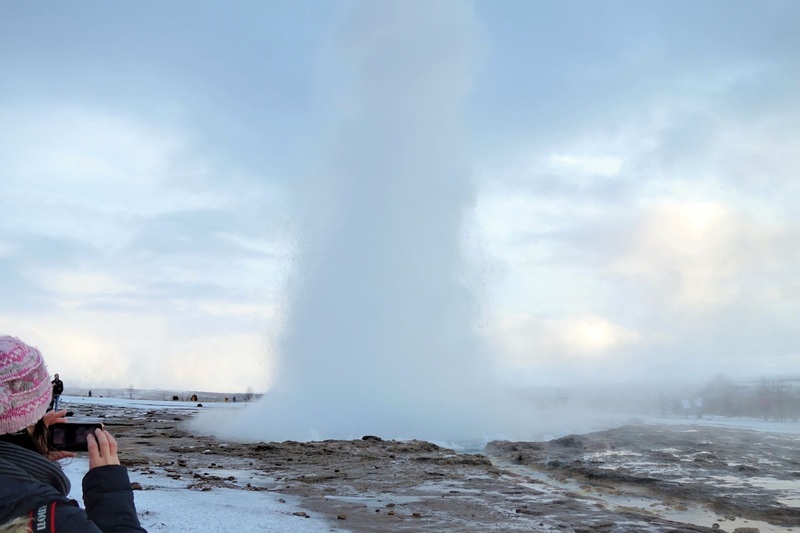 The Geysirs are in a geothermal area, where the water underground connects with the hot bedrock, creating immense pressure leading to an explosion of water. There was an active Geysir, Strokkur, which sprayed water once every few minutes. There are warning signs around the mud pits, which emit a lot of steam from the boiling water - putting into perspective how hot and dangerous the natural water really is! You can see a video of the Geysir in action in my Iceland highlight on my personal Instagram page. 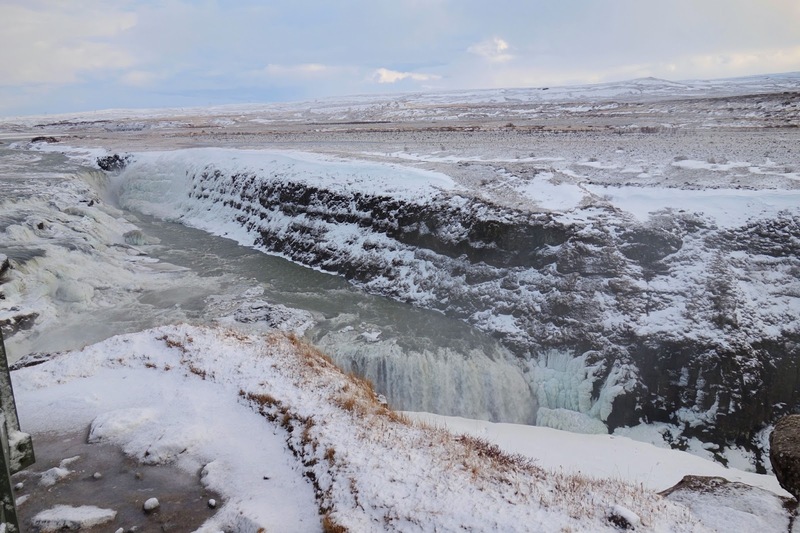 Afterwards, we headed to Gullfoss, one of the most popular tourist attractions in Iceland. There is a viewing point next to the car park, then a series of steps if you want to view the falls from much higher above (but this is not for the faint hearted!). After an afternoon of exploring, we decided to stop at Fridheimar for some lunch before heading to our hotel in Hella. The restaurant was one of the most popular restaurants and 'attractions' to visit in Iceland, but we were cautious as reviews said it was very, very expensive. 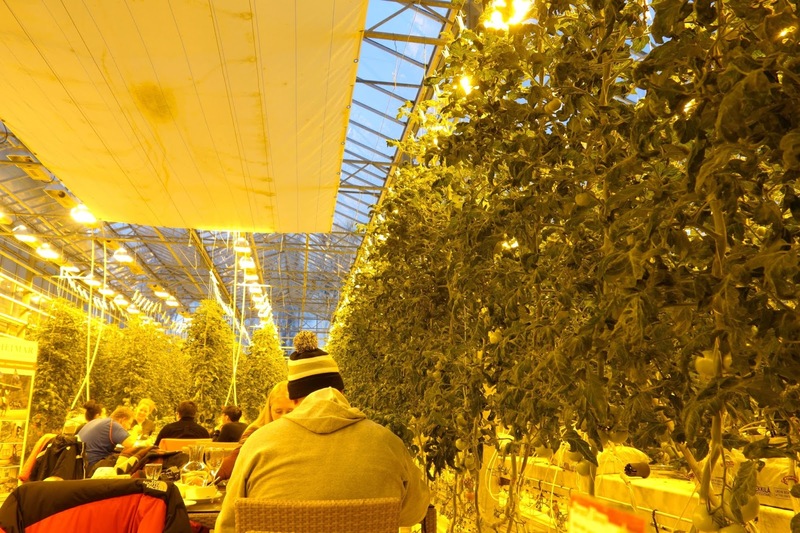 The concept of having a restaurant in a tomato greenhouse, where the tomatoes are grown with geothermal energy was quite appealing, but personally the food was not worth the extortionate price. We paid 2850ISK (approx £20) for a ravioli with tomato sauce (which my boyfriend had to return because the tomato sauce was so acidic!) and 2290ISK (approx £16) for a tomato soup and unlimited bread. I would never in my life consider paying £16 for a tomato soup, but since we had a free day of excursions, we made an exception with Fridheimar, but unfortunately this was a huge disappointment for us. Afterwards, we drove to Hella, where we got the keys to our cabin at Arhus Hellu. Although the location was very nice in front of the water and the cabin itself was very cosy and would've made for a different experience, the WiFi wasn't working and the land around the cabin was covered in a sheet of ice and was very unsafe. As a result, the manager offered to let us stay in its partner hotel, Hotel Hella, which included a continental breakfast and was a very pleasant stay. That evening, we ventured to a supermarket nearby and make ourselves noodles with the amenities in the hotel kitchen. 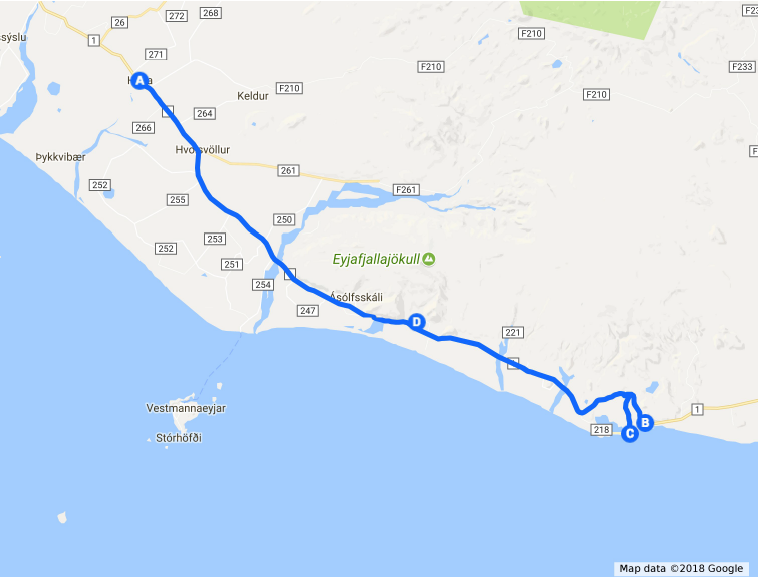 On Thursday, we drove for 50 miles along the south coast of Iceland to a village called Vik, where a University friend recommended a visit to the Black Sands beaches nearby. 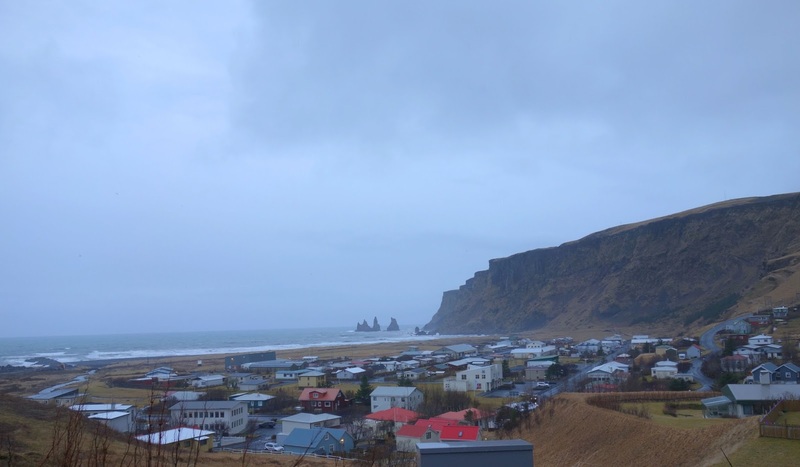 Vik is a remote seaside village with a few restaurants and a supermarket. To be honest, there wasn't a lot to do there and the weather was very bad, so we opted to have lunch in one of its local restaurants. 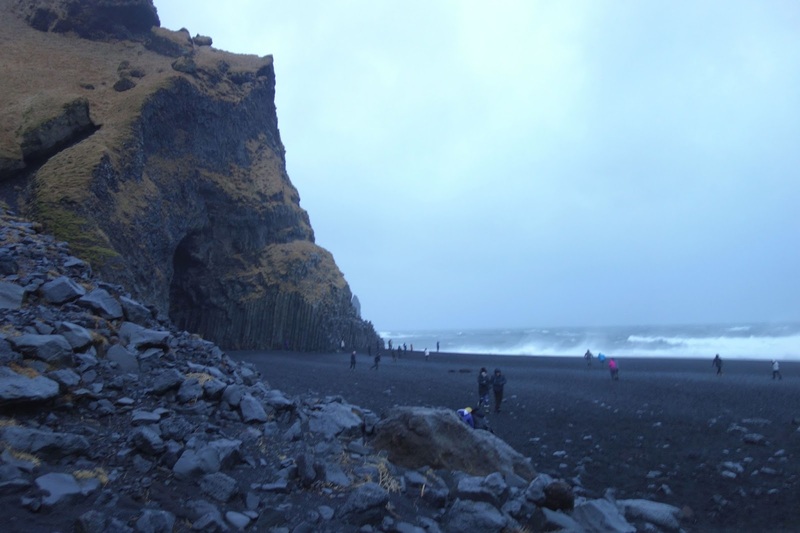 After lunch, we drove for 5 minutes to the Reynisfjara Black Sand Beach. The beach is actually one of Iceland's many lava beaches with remnants of lava that had immediately cooled as it touched the ocean. It was incredibly windy on this day and I could barely climb out of the car to walk towards the beach without fearing the car door was going to fly off! I only safely managed to get to the entrance of the beach until I had to turn away as the wind was pulling me everywhere. 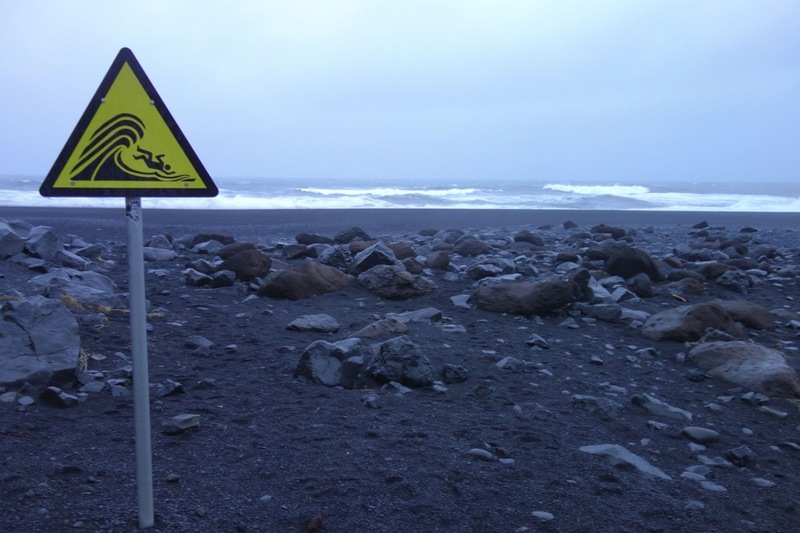 This beach in particular is known as Iceland's most deadly beaches as its waves are extremely powerful and unfortunately a few people have died there as a result of coming too close to its strength. If I visit Iceland again, I would love to go further along the perimeter of the beach, as the rocks to the left of the water looked particularly interesting. In the evening, we drove to our hotel for that night, Hotel Lambafell. This was definitely one of our most isolated locations, but turned out to be our most enjoyable stay. We really enjoyed chilling in the living room area, on the big sofas while playing board games or watching some TV on the iPad. Breakfast was also really enjoyable, where we had chocolate crepes, fruit and granola. 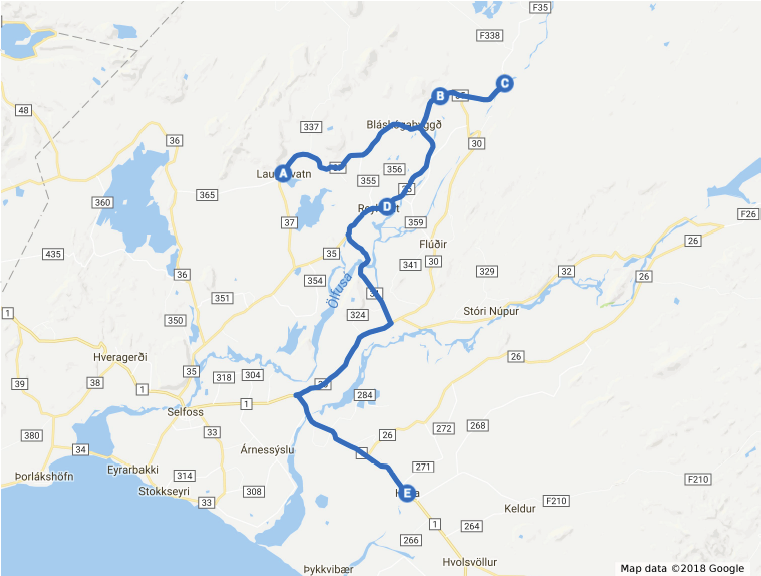 On our fifth day, we began the 2 hour drive back in the direction towards Reykjavik and covered some of the sights on the south of the Golden Circle. 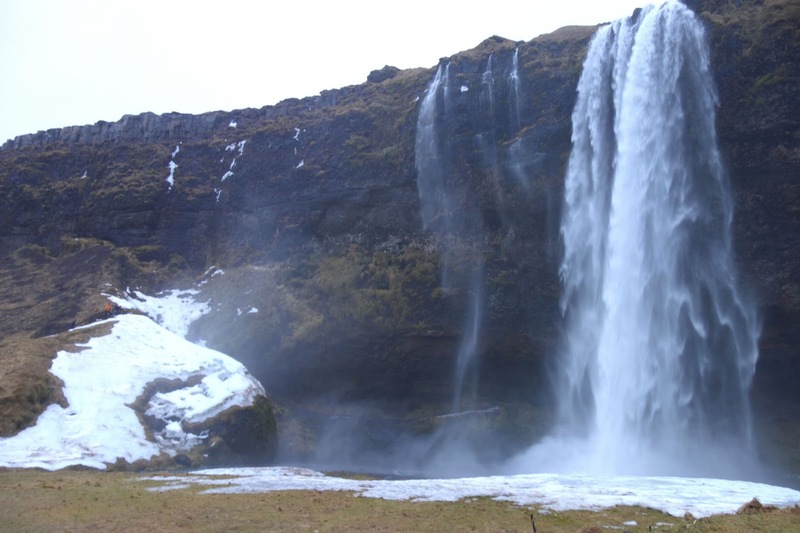 The first attraction we came across was Seljalandsfoss, another one of Iceland's many waterfalls. Apparently there is a path that goes behind the waterfall, but as it was icy and covered in snow, unfortunately this was closed off. As we arrived at the location of our hotel for that night in Selfoss, we stopped at Yellow for a quick lunch. Yellow is situated inside a supermarket and offers fresh noodles, juices and curries for a reasonable price. After lunch, we took a short 15 minute drive to a volcanic crater called Kerid. 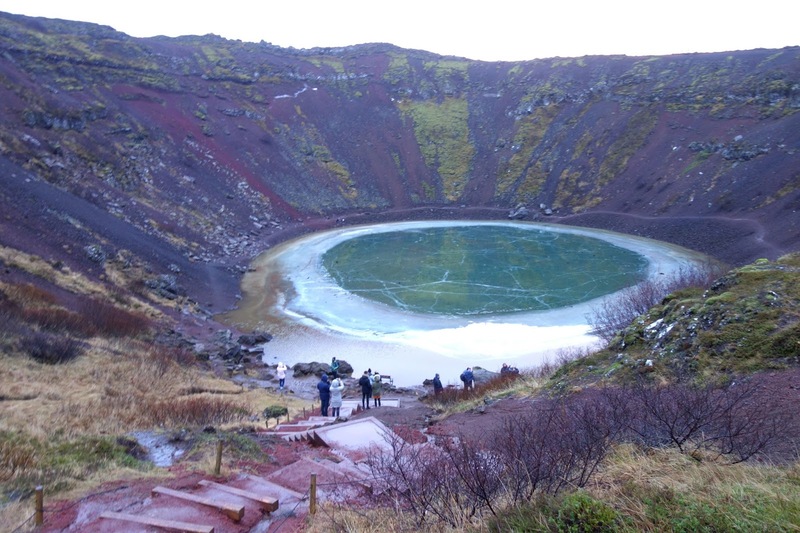 We paid 350ISK (approx £1.80) to walk around the crater. The colours of the red volcanic rock were really beautiful combined with the colours of the pool of water at the bottom. For me, I was definitely most blown away by this attraction and unfortunately the photos I took do not do it enough justice! Afterwards, we bought supplies at the supermarket and made our own dinner in the kitchen accessible to us in the Selfoss Apartments. 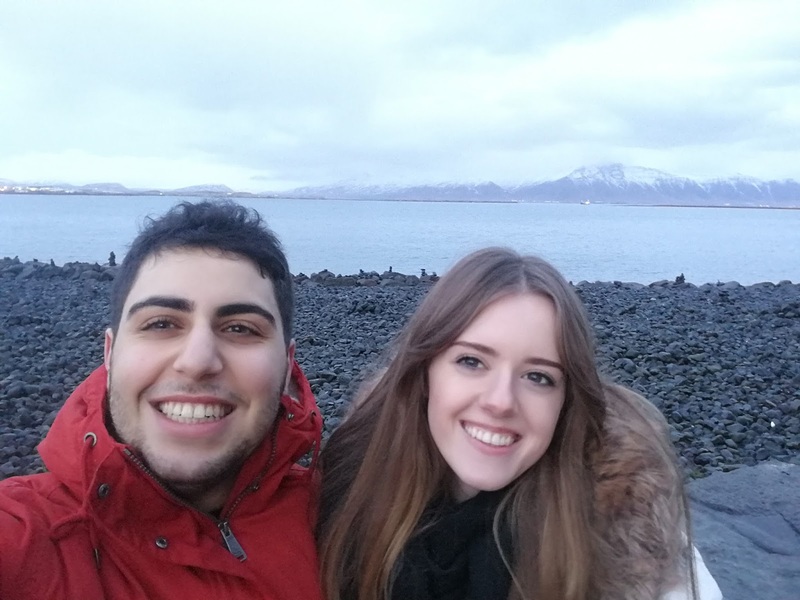 On our 6th day in Iceland, we began the trip back to our starting point in Reykjavik. We planned to visit the Hellisheidi Power plant on our way, however, it was closed for the day due to a fire the day before. Instead, we spent another full day in Reykjavik and visited the National Museum of Iceland. Admission price was 1000ISK (approx £7) each, which included free entry to the Culture House too. The museum was very interesting and the audio guide could be accessed through a website on our mobile phones. We could have spent hours and hours there listening to everything in the audio guide, but spent a good 2 hours there anyway listening to the history we were most interested in. For lunch, we went to the Noodle Station. A large bowl of noodles, veg and meat cost 1640ISK (approx £11) and was definitely one of the most reasonably priced restaurants we visited in Reykjavik. 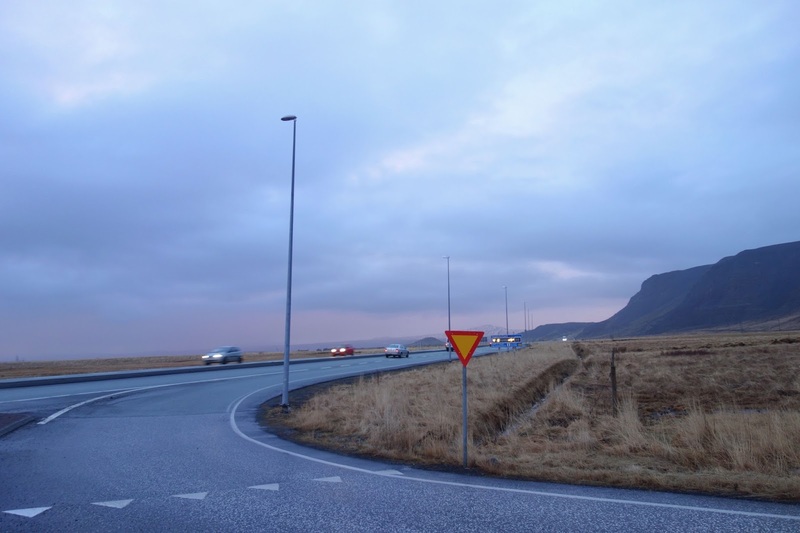 We drove to Keflavik in the early evening to check into our room at the Nupan Deluxe. The accommodation was a family run business and had a lot of nice touches such as bath robes, an outdoor hot tub and a tea and coffee area in one of the communal rooms. This, alongside Hotel Lambafell were our favourite places to stay in Iceland because of their little amenities which are not always as common in mainstream hotels. 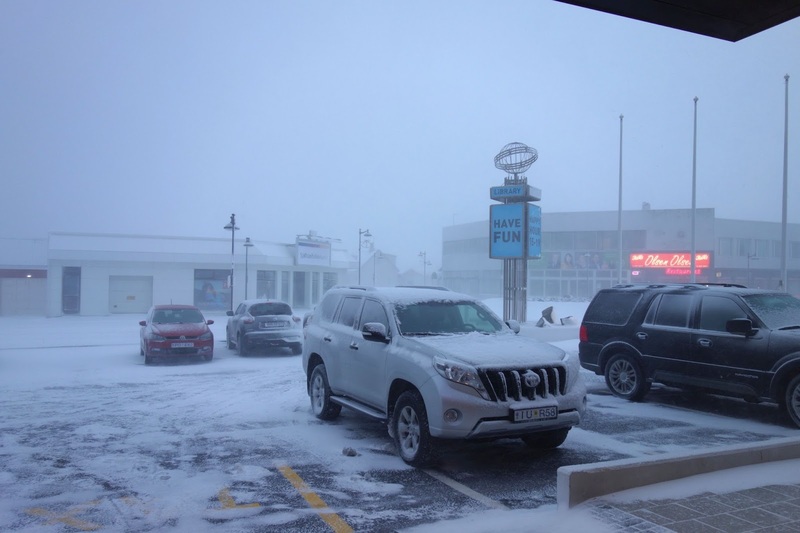 On our final day in Iceland, we were hit with a crazy snow storm, which meant we couldn't fulfil our plan of exploring the coast and town of Keflavik. We managed to venture out to the Park Inn by Raddison where we visited its restaurant for Brunch. As the weather was not in our favour on our final day, we went to the airport in the afternoon to chill before catching our evening flight back to Edinburgh. 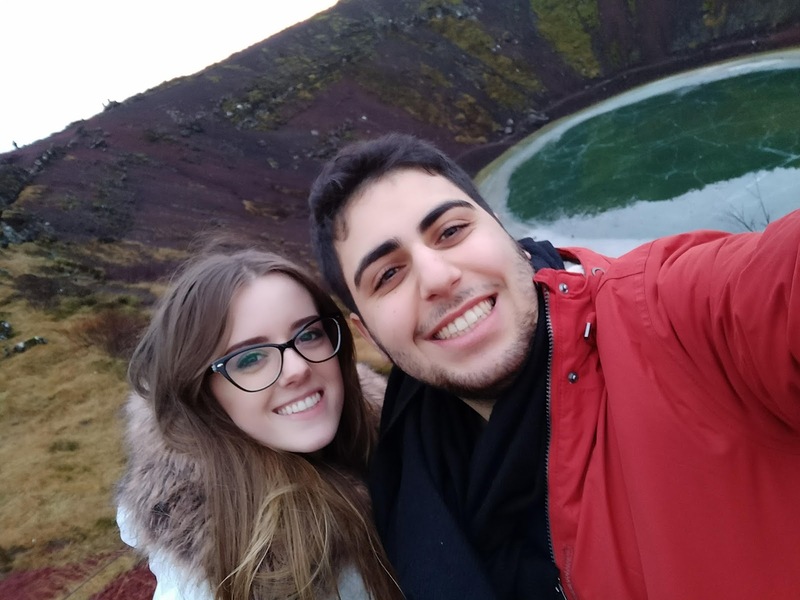 Overall, we thoroughly enjoyed our trip to Iceland and our itinerary worked out a lot better than we expected. We definitely took a more laid back approach to exploring Iceland over the course of 1 week and I'd really love to visit again in a few years time with a bit more money to spend on more exciting activities such as visiting the Ice Caves and riding some snow mobiles. Unfortunately we weren't so successful with the weather, which meant we couldn't catch sight of the northern lights in the foggy conditions. 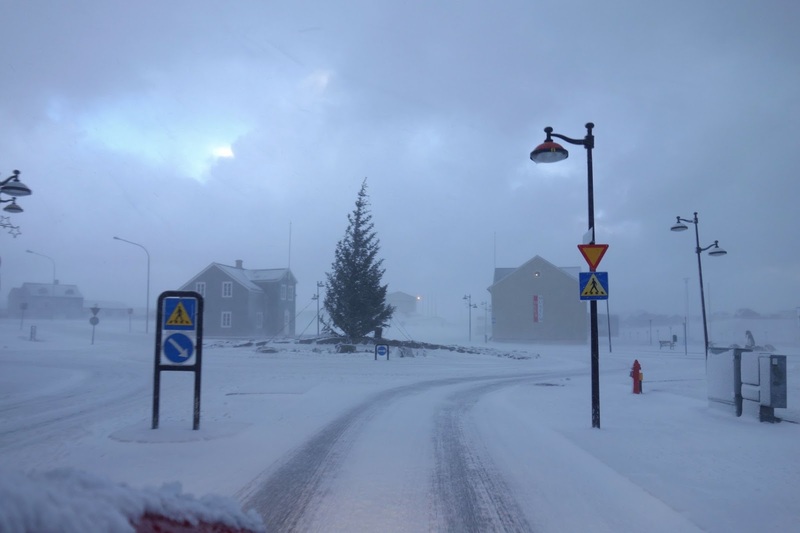 However, for anyone feeling put off by visiting Iceland in January, I would highly recommend it as we managed to save quite a bit of money during the off-peak season and the driving conditions were not as treacherous as we thought! For a more in-depth review of the restaurants and hotels I visited in Iceland, check out my TripAdvisor profile. If you would like to see my Instagram story of my trip, check out the highlighted story on my personal Instagram page.